Posted on 03/02/2016 by Mickey McCarter	in Live Review and tagged Ben Eisendrath, Brett, Brittany Sims, dreampop, Furniteur, italo disco, Prince George Records, Songbyrd Music House. It is a delightful thing to walk into a room when Furniteur are playing. The cool chill of their synthesizers and the sultry vocals of their chanteuse leaves a distinct impression upon you. You are ready to forget about your cares and relax with a cocktail or two. And that’s exactly what I did when I walked into Songbyrd Music House to catch Furniteur in a late show on Sunday night. Brittany Sims, Mike Toohey, and Kevin Bayly (the two men of synth also in the band Brett) make smart music for cocktails at twilight as they inject an old school charm into their music. As for their music, Furniteur released a new EP featuring a cover of Julee Cruise’s “Falling,” the theme to “Twin Peaks” (yes, the David Lynch TV show), in February. Posted on 03/13/2015 by Mickey McCarter	in Live Review and tagged DC9, disco, Furniteur, Pleasure Curses, Prince George Records. A couple of cool synth aficionados and a sultry blonde sophisticate are leading bands that are quickly becoming DC’s most reliably entertaining double bill. I’ve taken the opportunity to write about Furniteur, led by Brittany Sims, not long ago, but I haven’t yet had the chance to spotlight duo Jahn Alexander Teetsov and Evan Maxwell Grice of the Pleasure Curses. The two bands, which are labelmates at Prince George Records, have been pairing up for opportunities like opening for New York’s Vérité on Thursday at DC9 and DC groovemaster Outputmessage on Feb. 12 in a POV Live performance at the W Hotel. 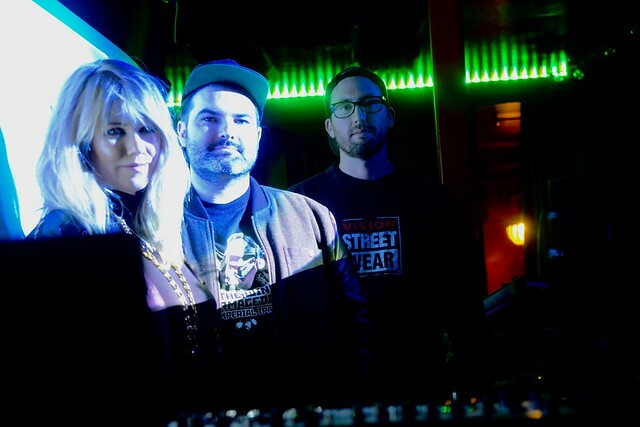 The Pleasure Curses have been leading the charge among DC electronic bands for a few years now, refining their concert performances along the way. 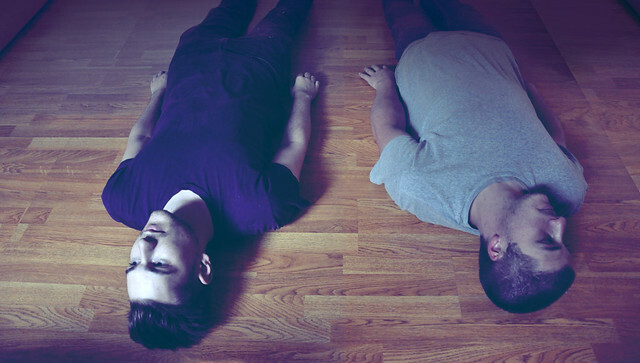 Last October, they released the single “Burn,” which kicked off their concert at DC9 Thursday. The song is a smoldering tribute to overcoming desire, and vocalist Jahn Alexander delivers the lyrics with smooth aplomb as he sways along to the beat. Posted on 12/01/2014 by Mickey McCarter	in Live Review and tagged Brett, Brittany Sims, DC9, dreampop, Furniteur, italo disco, Prince George Records. I gotta say that it seems Prince George Records is doing something right. I knew of the DC label as the backer for dance duo Pleasure Curses, but I was pleasantly surprised to discover that Prince George has more artists in its roster, and one in particular which could prove a breakout act in the next year. Enter Furniteur, who opened for Frenchman David Grellier performing under his bandname College at DC9 last Wednesday. With the recent electronic release of a four-track EP, Furniteur have been playing several small shows around DC in places like The Dunes and Comet Ping-Pong. They are well worth catching at your earliest opportunity. Furniteur’s frontwoman is local chanteuse Brittany Sims, who studied art in New York City and decided to form a band back home in DC after graduating. She’s recruited Kevin Bayly and Mike Toohey of Brett (formerly the Dance Party) and presented Furniteur as a smoldering synth-driven trio. Posted on 11/25/2014 by Mickey McCarter	in Live Review and tagged College, DC9, electronica, Furniteur. Frenchman David Grellier’s electronica project College leapt into full view of U.S. audiences in 2011 when its song “A Real Hero” was used on the soundtrack of the Ryan Gosling film Drive, which smartly and sleekly weaved smooth italo disco sounds into a pulsing yet atmospheric mix that served the elevate the mood and action of the movie. Grellier has his hands in a number of projects, but College recently released a new EP and an accompanying video for “Save the Day.” The collective is touring with a first stop among some 14 dates at DC9 (1940 9th St. NW, DC) on Wednesday, Nov. 26. I’m not 100 percent certain if Grellier is touring by himself or if he’s bringing an accompanying vocalist, but he is accompanied by opening act Furniteur, D.C. visual artist and electronic musician Brittany Sims. 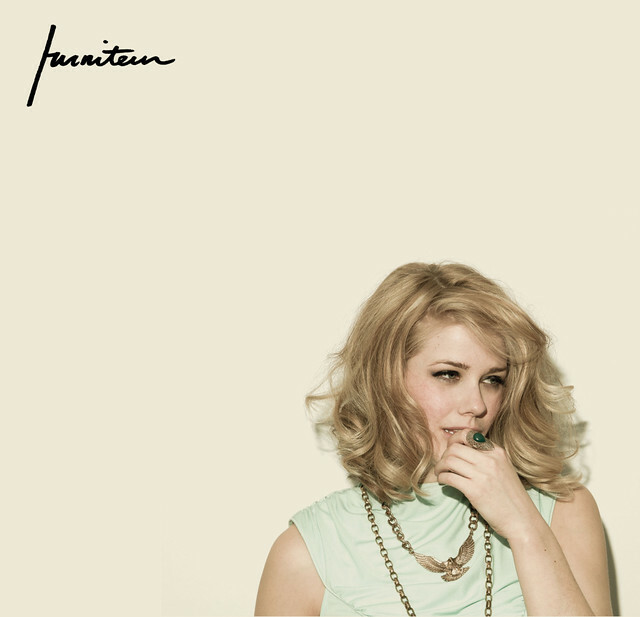 Furniteur is wonderful accompaniment to College’s sound–synthy, lush, melancholy classic pop. And Sims is a local, so we are super-excited to check out this lineup.